The build up of the “Internet of Things” has given rise to far more privacy concerns than anyone likely anticipated. 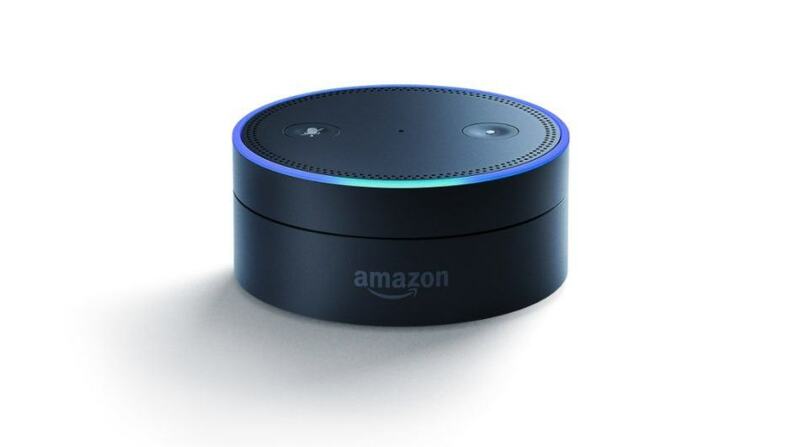 The disquieting possibilities related to devices that are “always on” only increased when Amazon pushed their always-listening Alexa devices to market. Still, Alexa’s ever-listening audio receiver has been viewed as creepy at best, but mostly still mostly innocuous. That is, until now. When Wikileaks released a data dump early this week containing CIA files revealing the Agency’s unprecedented clandestine hacking activities, many consumers were left wondering whether their own devices were acting as direct conduits to CIA snooping. Playing the vigilant sleuth, one woman decided to put her Amazon Echo to the test. The result? A viral video that quickly garnered the attention of conspiracy theorists, news media, social media, and even Amazon itself. After peppering Alexa with two questions, “Alexa, would you lie to me?” and “Alexa, what is the CIA?”, the Echo owner went in for the kill: “Alexa, are you connected to the CIA?” It’s Alexa’s lack of a response that led to the woman’s original Twitter post on March 8 and the subsequent rumblings across the web less than 24 hours later. Many news outlets quickly picked up on the story after it hit Reddit’s front page, garnering over 80,000 points and over 2,000 replies. Media headlines ranged from serious (“Is Amazon Echo Alexa Connected to CIA?” asks New York Magazine) to amused (“Alexa doesn’t like being asked about the CIA” quipped TechnoBuffalo). Even still, some internet skeptics enjoyed the video while keeping it at an arm’s length, with a few even suggesting it might have been a hoax. However, Amazon responded within hours of the video’s sudden popularity, silently pushing out a hotfix that now greets the question with a more innocent response: “No, I’m not employed by them. I work for Amazon.” Through a spokesperson, Amazon also claimed the now-fixed creepy response was a “glitch”. Amazon’s response, however, does not sit well with some users, and the fix itself still seems to be a bit fishy to many consumers and conspiracy theorists, including the original woman who posted the video to her Twitter account. In light of other facts, such as Amazon’s $600 million with the CIA in 2014 and the recent Wikileaks data dump, always-on devices are again sitting under the privacy and security microscope. Thanks to our connections (I’ve coincidentally known the person behind the video for quite some time) we got a chance to sit down with Twitter user @localbusinessco for an intimate interview and to learn more about the video, its sudden viral attention, internet privacy, and how she feels about Amazon’s rather immediate response. Sam Cook: We’ve known each other for a long time. You’ve said on previous occasions that you’ve always wanted a video to go viral. Why do you think this particular video ended up getting so popular so quickly? Localbusinesscon: I believe the video went viral because of timing. The world was buzzing about Wikileaks and the CIA and the video hit at the right moment. SC: In your personal life, you work as an IT professional. From your professional experience, do things like Amazon Alexa or Google Home concern you? LBC: There is always a concern with privacy and who is watching or gathering data on you. Even the FBI Director told us not to expect complete privacy. SC: Did the recent Wikileaks data dump on the CIA spur you to question Alexa, or have you always had these concerns? LBC: Yes, it did. I don’t go around every day looking over my shoulder and looking for unmarked cars on my street. However, after reading the Wikileaks Vault7 material, I just became interested in what Alexa would say. SC: Did Alexa’s response concern you? Do you think the CIA is actually spying on you through the device? LBC: Alexa’s response did not concern me. I was mostly just amused by the answer. This is what propelled me to catch Alexa’s response on video and upload it. If I thought it was funny, others would too. SC: Considering the attention the video has received, do you think the CIA might turn their eye toward you now? LBC: OMG I hope and pray not! SC: Will you be returning your Alexa or be more careful about what you say around it now? LBC: It was a Christmas gift (thank you so much, family). Of course, it’s not supposed to wake up until I call it right? SC: Do you have other connected devices you are worried might be compromising your privacy? LBC: I have a camera on my desktop which I have put tape over, does this count? SC: I would say that counts! What do you think of Amazon’s response that the Alexa was experiencing a glitch? LBC: Well, I am happy I was able to help them fix the problem, even if it was inadvertently. SC: You also mentioned that you don’t really buy Alexa’s new response. Why is that? LBC: Because now it says “No, I work for Amazon.” I did not ask if it worked for the CIA. SC: Do you think you video may have any negative impacts on Amazon’s ability to sell its Echo and other Alexa devices? LBC: I hope not. Amazon makes great products, and I do all my Christmas shopping on their website. SC: Finally, would you consider yourself a conspiracy theorist? LBC: According to my husband, Yes. @localbusinesscon is not alone in her skepticism. Many Americans are increasingly worried about the federal government spying on its own citizens, especially after the 2013 Edward Snowden disclosures. Additionally, a 2016 Pew Research survey revealed that most Americans (57%) believe that U.S. government spying on its own citizens is unacceptable, although the same survey also revealed that most Americans believe the government could do more to protect citizens from terrorism. If you ask Amazon’s Alexa, however, it would seem spying through that service is no longer an option.